Before beginning as a Graduate Diploma student at CBS, I had taken a degree in quite a different academic field. I began my studies at “Den Kgl. Veterinær- og Landbohøjskole (KVL)” (The Royal Veterinary and Agricultural University) where I, in 1979, graduated as a Master of Forestry. Literally a few days after graduating, I travelled to New Zealand, where I, over the course of a year, strongly considered emigrating to – it was and is a wonderful country but at that time, it was physically, mentally, and financially very far away. I returned to Denmark after having spent several months considering emigration, and I was subsequently hired as a research assistant at KVL and later became a PhD student. At the same time, I studied for a Graduate Diploma in Finance and Credit at CBS (i.e. “Handelshøjskolen” at the time) in what back then were the “less attractive” premises at Fabriksvej. In 1984, I finished my Graduate Diploma degree and in 1990 I defended my PhD thesis (“Inflation and Taxation in Forest Economics. Danish Forest Economics, anno 1989”). At the time, the Graduate Diploma programme (taught in evening classes) had the nickname “the killer of marriages” – but I was unmarried at the time! Consequently, I put quite some effort into my studies. I was mainly motivated by having studied (and learnt) a lot about forestry and agricultural economics (bio-economics). I wanted to know how these field-specific economic disciplines differed from general economics, and I quickly discovered that “forest economics” simply was general economics, adjusted to the terminology of forestry. As a Graduate Diploma student, I was consequently primarily motivated by the “joy of understanding.” I also discovered the joy of learning, and found that, among other benefits, it fostered a (self-)confidence through realising the fact that there is a solution to any challenge, as long as you do not let initial insecurity and seemingly insurmountable challenges discourage you – before you finally identify a solution. Furthermore, I subsequently discovered that treating other people cordially and with respect is a key to finding joint solutions. The surprising fact was that the, at the time, random choice of a Graduate Diploma programme at CBS, later turned out to be decisive in terms of me fulfilling the Danish University Act’s criteria for possessing the necessary knowledge to become president of CBS. What in 1984 was a “somewhat random choice” of studying for a graduate diploma turned out to be decisive for ending my career in management as president of CBS. A “coincidence” that I have found both extraordinary, fun, and life-affirming. In 1984, I was, as stated, already employed when graduating from the Graduate Diploma programme. Apart from my deliberate choice of study programmes, it has been a characteristic of my career that I have never aimed for, or even planned, achieving the positions that I finally ended up in. In 2002, when I was elected vice-chancellor (rector) of “Den Kgl. Veterinær- og Landbohøjskole (KVL)”, I had been a head of department for a brief period of less than three years. I had not in any way considered the position until 3-4 months before I was elected as vice-chancellor. In the early spring of 2002, I therefore suddenly found myself as vice-chancellor of KVL (in addition, it turned out that I would be the last vice-chancellor). The governments (2001-2009) of former Prime Minister Anders Fogh Rasmussen led to the so-called “globalization funding”, i.e. that 1 % of GDP should be spent on publicly funded research. This goal further led to a very positive focus on the role of universities in the development of the Danish society, and it also led to the merger-process of Danish universities in 2006. 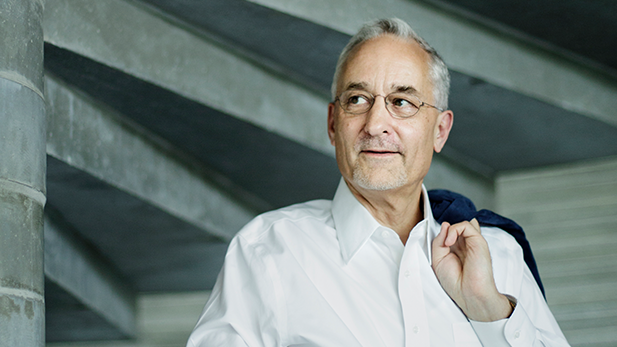 KVL merged with University of Copenhagen (KU), and I became Dean of the LIFE-faculty at KU. In 2012, I was named President of CBS, subsequent to a very turbulent period for the university – both in terms of management and finances. Which moments of your career have been defining – and why? The early and formative years of my life were firmly influenced by the strong impact of World War II on both of my parents. This has had a defining impact on my own perception of responsibility and public obligations, both nationally and internationally. As mentioned, my career choices have all been non-planned/non-strategic. The most important moments in my life have mainly been non-career-related: When I got married and when we had our first and second child. Our first child died shortly after birth, which had and has had a major impact on both Karen´s, and my life. Well, yes – I ended up being president of CBS for seven years and two months, and I intend to keep in touch with this institution for as long as possible!